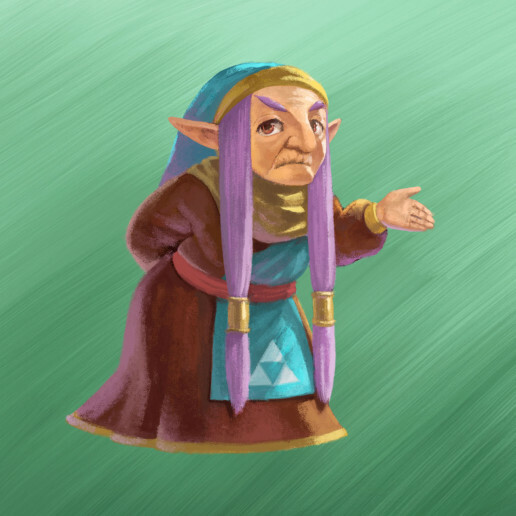 New concept art for A Link Between Worlds has surfaced as the game closes in on its release date. A bunch of concept art was recently revealed, and this batch of concept art not only illustrates new details, but it also fills in certain things provided by the last batch of art. 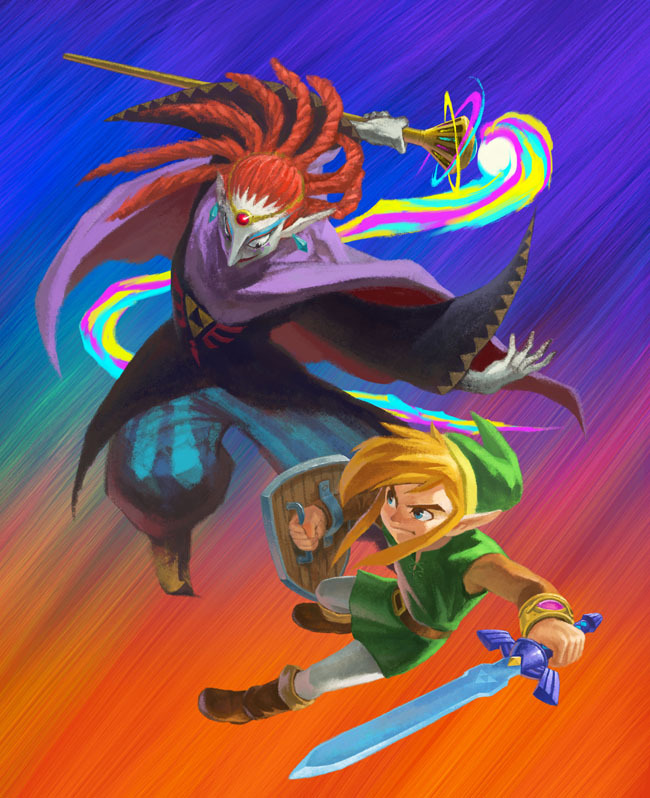 Major spoilers ahead, so hit the jump at your own risk! Portraits were previously shown of Zelda, and of a strange boy in green (who appears to not be Link), and these pieces of concept art have re-emerged. 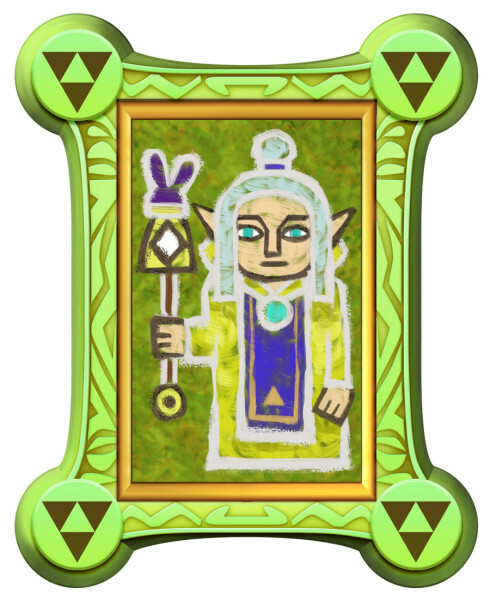 However, four more portraits have been added, with different characters inside each colored portrait. There is speculation that these characters may be sages. 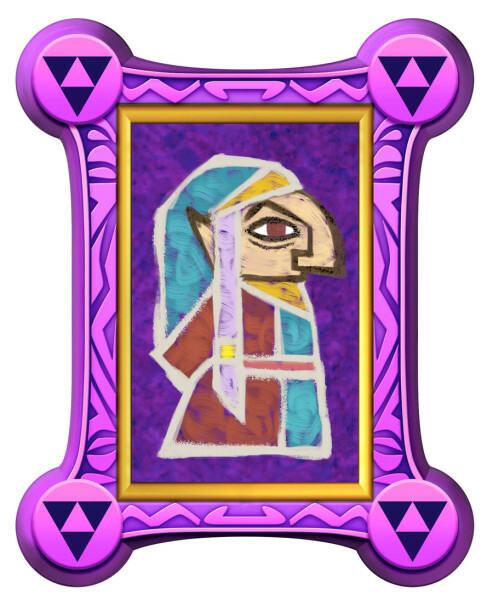 The woman in the purple portrait bares a striking resemblance to Impa, and the Shadow Medallion in Ocarina of Time was also of a purple color with Impa acting as a sage in that game. These resemblances seem too similar to be coincidental. 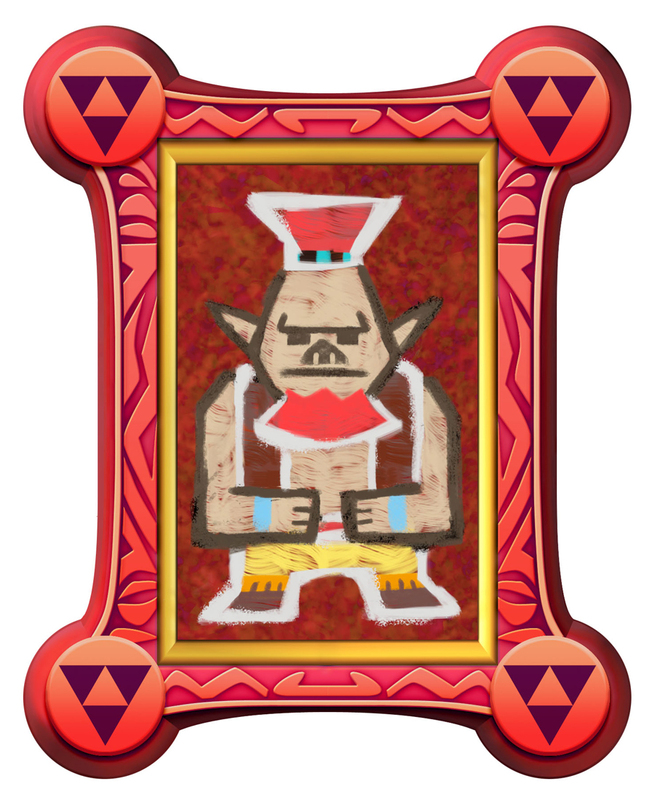 Similarly, the image inside of the red portrait appears to be of a species that strongly resembles the Gorons, if not the Goron species themselves. 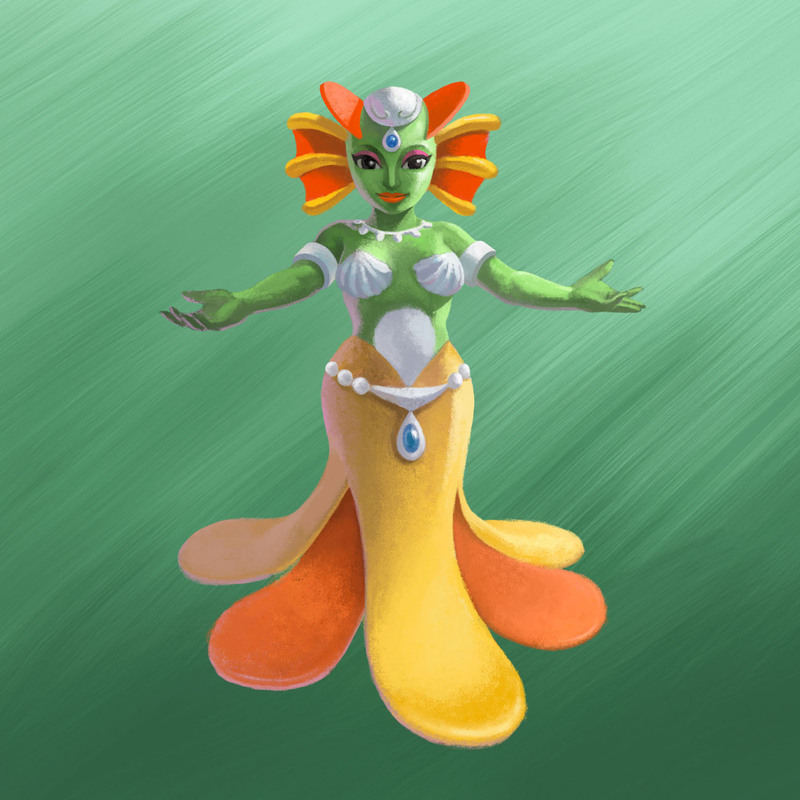 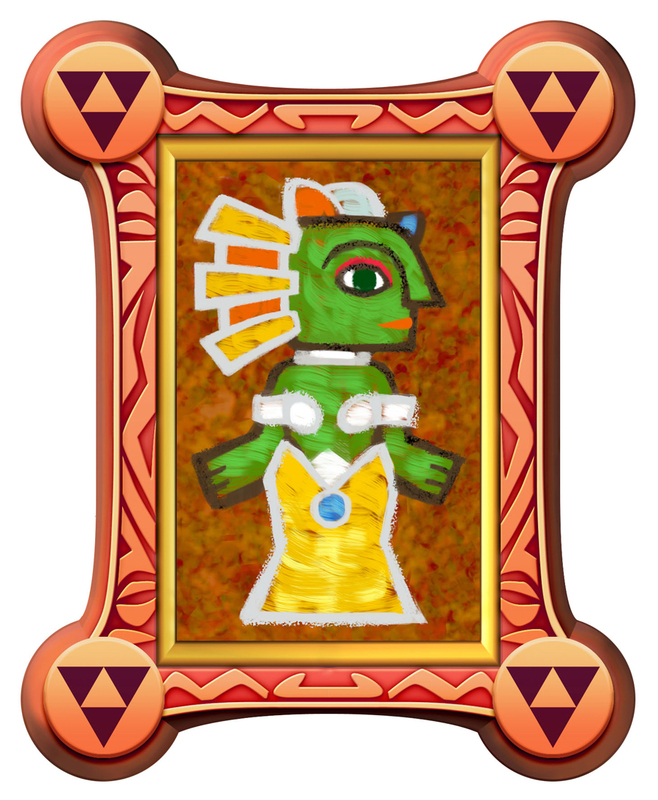 Similarly, the image under the orange portrait resembles the Sea Zora, which is the friendlier Zora that exist in the game. 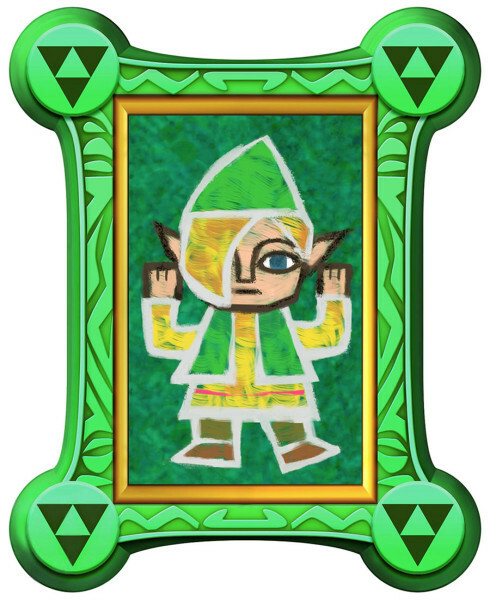 The man in the lime green portrait was shown in a recent trailer of the game, though his identity hasn’t been confirmed. 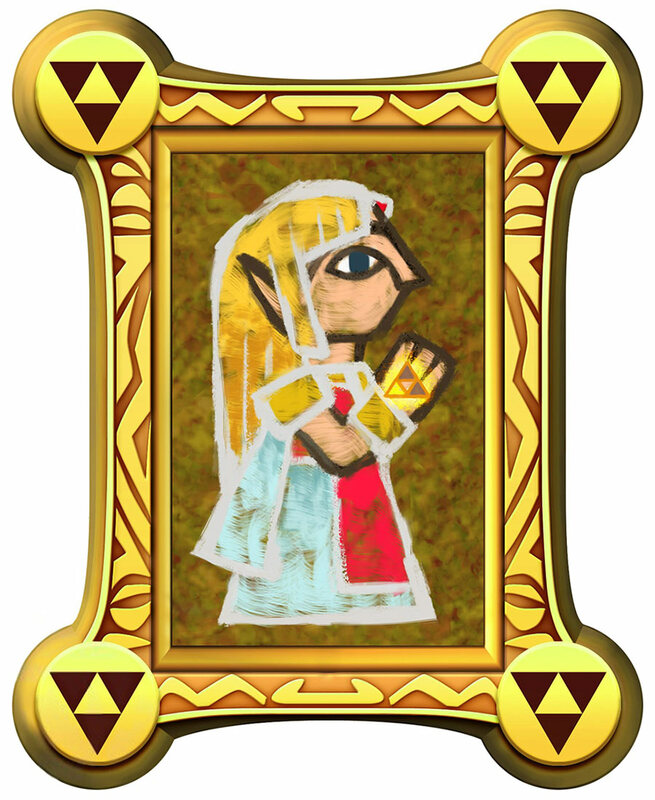 Numerous characters have appeared too, including many of who appear to be included in the portraits. 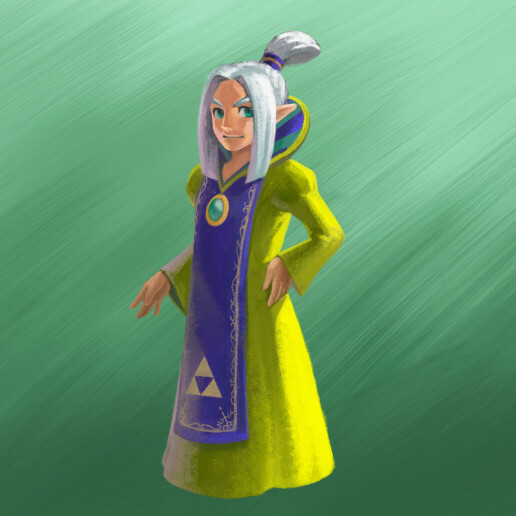 The old lady again strikes a strong resemblance to Impa, and the man with white hair seems to be the same character from the trailer and the lime green portrait. Artwork of a Sea Zora also bears a resemblance to the Zora in the portrait, as does the Goron-looking species. 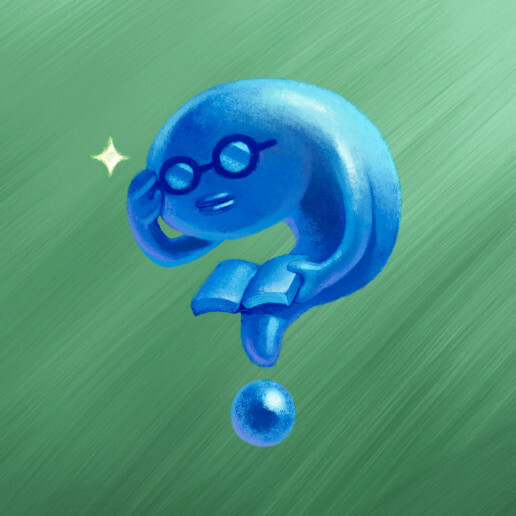 Perhaps the most interesting piece of concept art is of the blue, water-esque…thing with glasses on, reading a book. Furthermore, it appears to be in the shape of a question mark! It could possibly provide hints for Link if he is stuck, or it could even act as a companion. 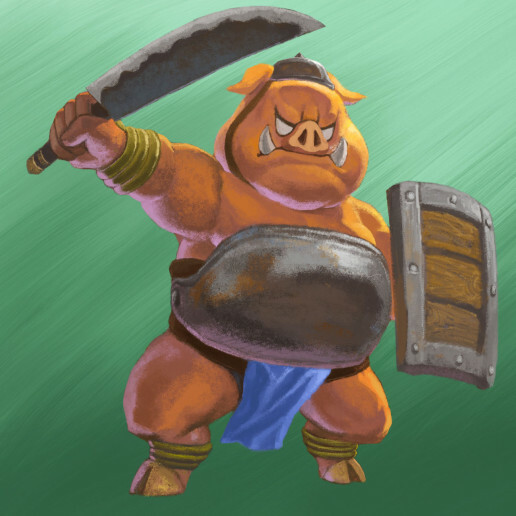 Familiar foes appear; the Moblin and Darknut are classic Zelda enemies, and Shadow Link even makes a return! 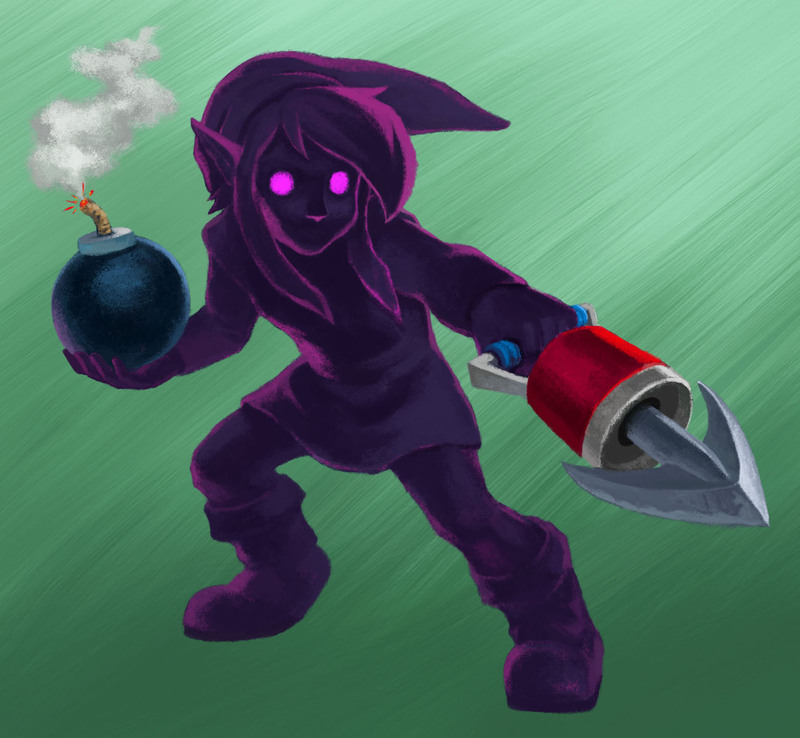 It is interesting to note that he is holding a Bomb and a Hookshot; it’s likely that Link will encounter his doppelganger during some point in the game, and this artwork seems to hint at the fact that Shadow Link may be able to use various items against Link, rather than just his sword and shield! 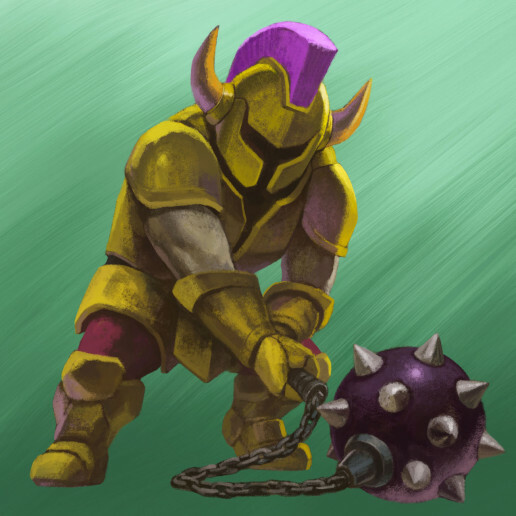 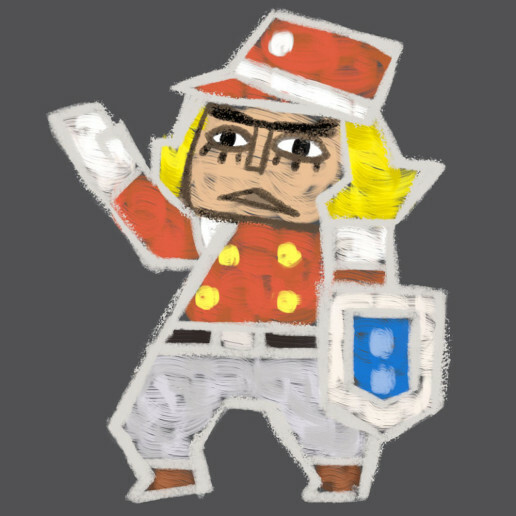 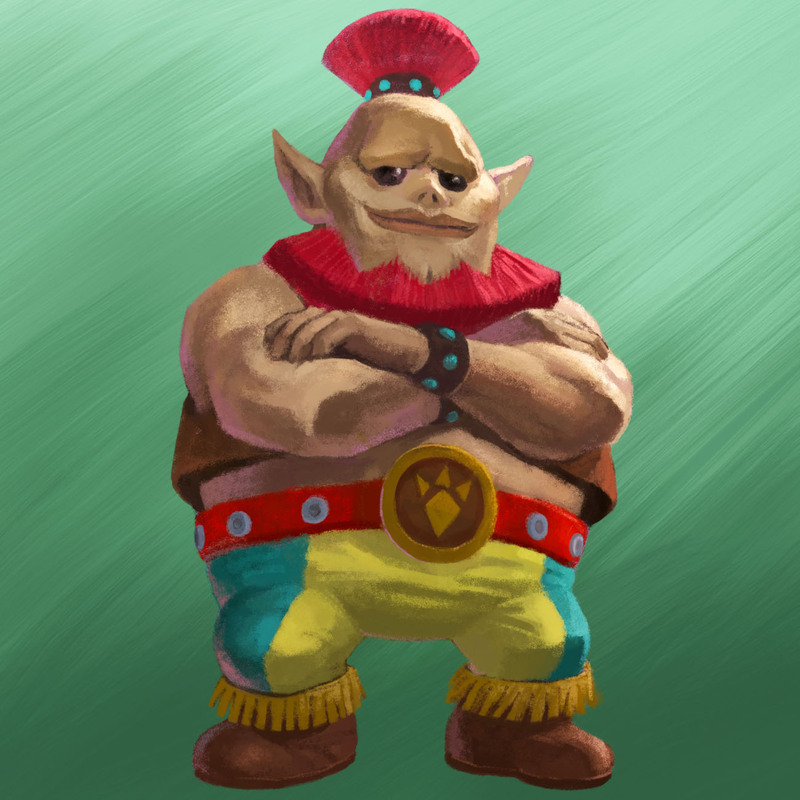 Finally, the last pieces of the concept art seems to depict various guards of Hyrule Castle. 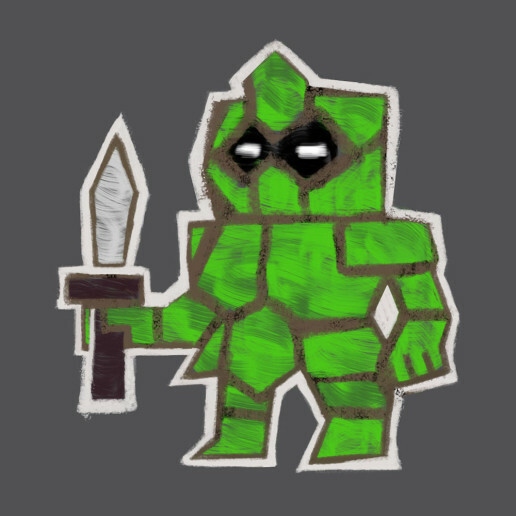 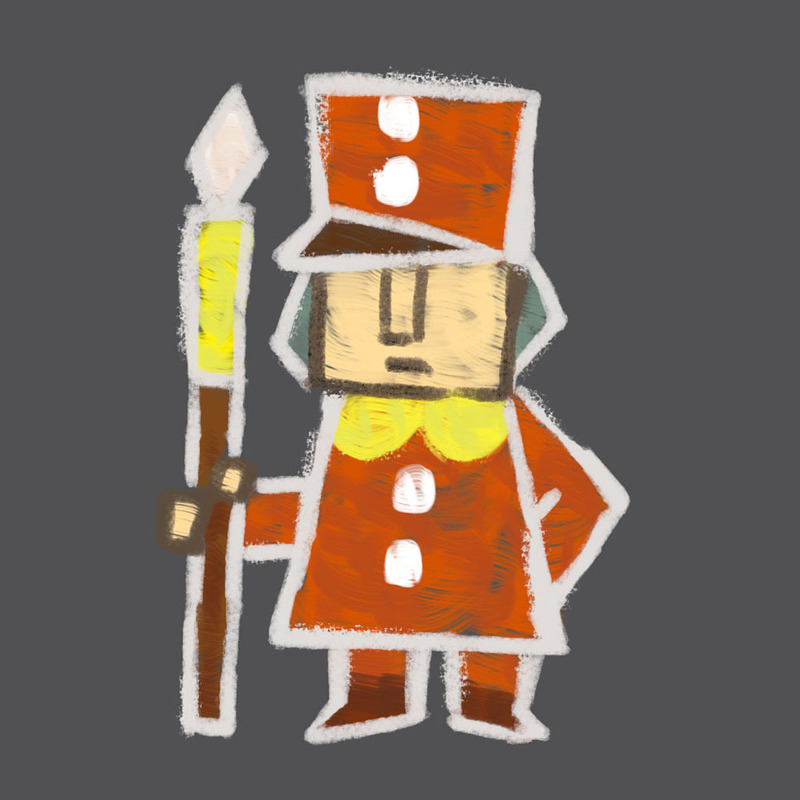 The last guard looks quite different from the rest of the guards, which could simply be a design choice, or he could appear in some other area of the game.